Hibs head coach Neil Lennon has had his UEFA ban reduced to a four-match touchline suspension following an appeal. European football’s governing body had initially meted out a five-game penalty after charging Lennon with ‘acts of violence against the referee’ during July’s Europa League first leg 1-0 defeat to Brondby. The former Celtic manager was sent to the stand by Spanish official Juan Martinez Munuera after remonstrating over the decision to wrongly disallow a Jason Cummings goal for offside. 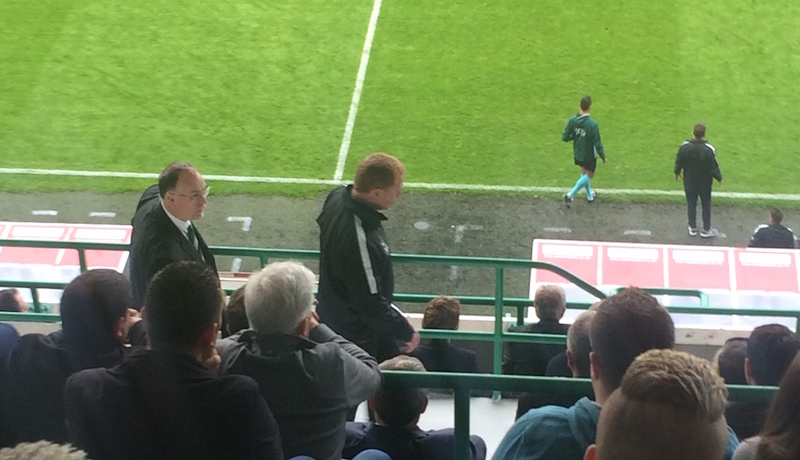 Lennon watched on from the directors’ box in the return leg in Denmark as Hibs were knocked out of the competition on penalties at the third qualifying round stage. Lennon was then left ‘god-smacked’ when UEFA’s Control, Ethics and Disciplinary Body handed out an additional five-match dugout ban after examining the referee’s report. Following an appeal, however, that punishment has now been reduced. A UEFA spokesperson said: “The appeal lodged by the Hibernian head coach Neil Lennon has been partially accepted. Lennon will have to serve the ban should he take Hibs or any other club he is managing back into European competition. Speaking after he was handed the initial suspension, Lennon said: “I could not believe it was a five game ban. It is just ridiculous and a piece of nonsense really. “The wording of the charge is ridiculous. We put a submission in at the time and that has obviously been ignored. “The game and a half that I served should be punishment enough.